When it comes to rifle finishes, the standard by which all the others are measured is the legendary Black-T. Black-T is specifically singled out as the required finish on the weapons from numerous government agencies around the world, including the FBI’s HRT rifles and 1911’s. One of the interesting things about the Birdsong company is that they do no advertising and really do not push their product, making public available information fairly scarce. Well, we recently had the opportunity to sit down (on the phone) and talk for a while to Walter Birdsong himself and learn about his finishes and a bit about the history of the company and development of the finish. As with all good stories (and businesses) this one has a beginning. Back in the 1950’s Walter Birdsong started Southern Chemical, a chemical company that he sold in 1963 to Allied Chemical. You see, Walter lives down in Mississippi where the humidity is high, and Walter has always been a hunter and shooter, but high humidity and firearms usually do not mix well and a rusting problem begins. It was this continued battle with firearms rust, and his background in Chemicals that got him thinking. So, he put his training to use and developed for himself a chemical process to apply a finish to a firearm that would prevent rusting, was extremely thin yet very durable, and to top it off, self lubricating. This is where Black-T originated from, and to think, it was nearly 30 years ago. Well, the word started to spread and other people wanted this same finish on their firearms, and before Walter knew it, he had a business on his hands. Now, Birdsong is still applying the same finish, with only very slight modifications, to firearms and many other things defensive or military in nature. Because of their large defense projects, and maybe even more so because of their reputation, they do not advertise, and have no desire to start. They are still happy to coat individual customers firearms, but do not be surprised if your project gets pushed back 6-8 weeks due to another large project. Green-T and Black-T are ONLY applied by Birdsongs crew and the only way to get a firearm finished is to send it to them. The finish itself is something to be marveled. One of the most critical aspects of a firearm finish is the thickness of the coating when applied. Most Teflon and other new age finishes are 1-3 mils thick (.001″ – .003″), Black-T is .2-.3 Mils thick (.0002″ – .0003″). Remarkably thin, and extremely slick with a drag coefficient of only .08. The finish is very durable and is chemically bonded to the metal and can be applied to almost any type of metal, ferrous or nonferrous, including the likes of Titanium. The finish is even applied to springs with no problems. Another feature of the finish is that it needs no lubrication, and is even recommended NOT to use oil or other lubricants on internal parts. So how tough is the finish? Based on our own personal experiences, it is extremely tough. The color will wear in high wear areas, like slide rails and bolts. But it takes a while before it does! Walter says he has NEVER had to warranty a finish on any product. That is not bad considering how firearms are sometimes abused, and the finish has been in use for over 25 years. One of the reasons for its durability is because there is NO color pigment in the finish at all, providing extreme wear protection, and the finish never stops hardening. during its lifetime. The corrosion protection is just as good. An independent testing committee quit the salt test spray after 7464 hours because there was no sign at all of corrosion and they felt they were wasting their time and wouldn’t see any for a long time. The finish also has 50,000 hours of US Navy use with no corrosion. 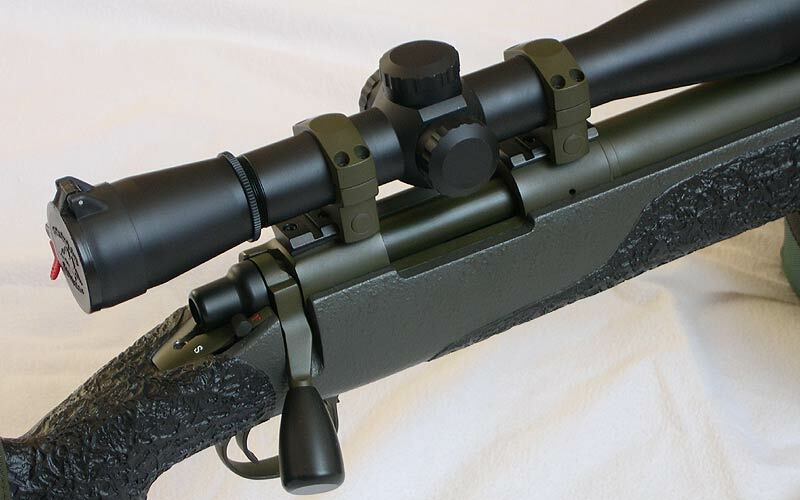 We have two firearms from Tactical Operations with Green-T finishes and they have held up extremely well with just light wear marks on the bolts, and these rifles are field rifles that are not babied at the range. They see much field work and the finish has held up great. The Green-T finish came many years after the Black-T and was developed at the request of US Navy Intelligence. It took 3 years of development before the finish was finalized to match the provided green color from the US Navy. Again, there is no color pigment in the finish at all. An interesting fact was that the Green-T used to be IR Reflective until the FBI approached Birdsong and asked them to please remove that capability, in which they did do. So much more can be said about the product and its history, but we better keep this article to a reasonable size. The Green and Black-T products have a reputation of outstanding capability, and deservedly so. If you would like to have your own firearm (rifle, pistols, shotguns, etc) coated in one of these fantastic finishes, you can contact Birdsong direct at 601-939-7448. We hope you enjoyed finding out this information and history as much as we did! A thanks goes out to Tactical Operations for arranging the interview and especially for Walter Birdsong for spending a little bit of time with us and even seeming as if he enjoyed it! Simply put, good folks producing an excellent product! I sure hope the turn-a-around times have improved “DRAMATICALLY” as back in 1996, Walter had my Browning BAR for seven months! It surprised me when I learned just how tricked out police weapons are, GA Percision rifles, McMillan stocks, custom finishes and the best glass money can buy. 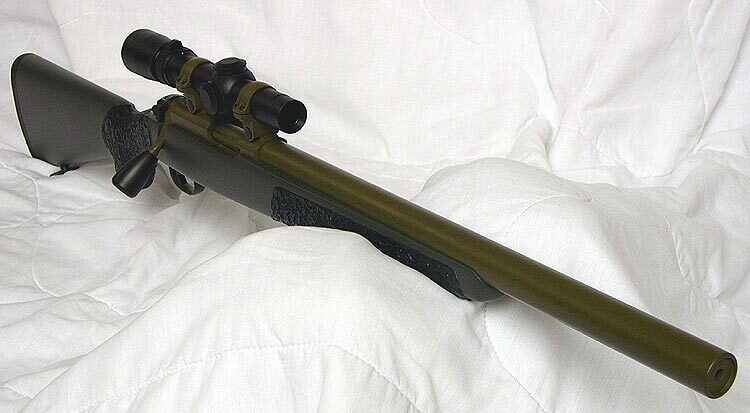 Meanwhile Army snipers are running stock Remington’s with a “Krylon” spray paint finish. My 300 win mag looked like it was made from spare parts. The military rifles are usually a few years behind as they cannot adopt nearly as fast as a police agency. But do not discount them. 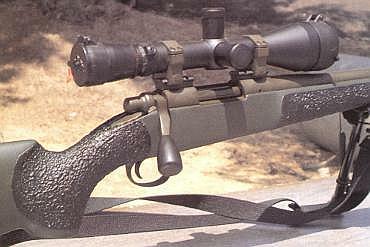 The original M24 the US Army used was very accurate, had an adjustable stock, an excellent 40x trigger, and many other features to include a robust powder coat finish (that snipers would then spray paint over). The newer rifles are even more advanced. The USMC M40 series of rifles shows a steady progression in adopting advanced features as well, and even faster than the US Army. Before he died Walter told me to fire my P225 500-600 times before I field stripped it. Naturally, I didn’t follow his instructions and got chewed out (politely, of course) for not breaking in the new finish before taking it apart and cleaning it. He wouldn’t have known about it had I not bitched about a failure to eject every time. Walter told me Sigs are the only pistol with this problem and I would not have had the problem if I’d followed his instructions. So I put it back together and, sure enough, the pistol worked perfectly after that. Heh, both a testament to Walter Birdsong as well as the precision machining of SIG. I am very impressed to hear the success the US Navy has had with this product. I am considering having a Ruger .41 mag single action which was converted to a .45 Colt with a .45 acp cylinder. Completed in the black. Very interesting to me as well is the layer of material applied is between .0002 to .0003 inches thick and can be applied to springs. Wow! Really a remarkable product.